Mike Ayrton admitted it was a “proud moment” to make his 200th appearance for Cambridge, but insists it would have been especially pleasing for the club as a whole. After joining the Blood and Sand in 2010, the Cambridge co-captain reached the milestone against Old Elthamians last weekend. Ayrton arrived at the club from the Saracens academy and at just 26 years-old, racking up 200 games is quite the achievement. But, while it was an individual highlight to savour at Volac Park, Ayrton revealed it would also have been a special afternoon for his club. “It was certainly a proud moment,” Ayrton said. “I also think the club would have been proud as well because they have got a player who has been there for 200 games and several other players who are between 100-150 games. Ayrton is certainly one of the more experienced members of Cambridge’s squad and he admits their strong core of senior players can benefit the team. “It is a role you kind of fall into sometimes, regardless of how old you are,” he added. “If you have been there for a length of time and played for an extended period, it just works out that way. Last weekend, Cambridge couldn’t mark Ayrton’s 200th game for the club with a victory as Richie Williams’ men slipped to a narrow 20-17 defeat against promotion chasing Old Elthamians. The Blood and Sand currently sit 10th in National One heading into Round 13, but Ayrton believes their league position does not reflect the strength of the side. “There is an element of frustration,” Ayrton said. “To a certain extent, we have just fallen the wrong side of some results in games that we have probably been the dominant side, but we have made some errors which have cost us the match. The performances are improving, but we know we are a lot better than the results have shown. Cambridge have won five of their 12 matches so far this season and as things stand, they are six points clear of the bottom three. 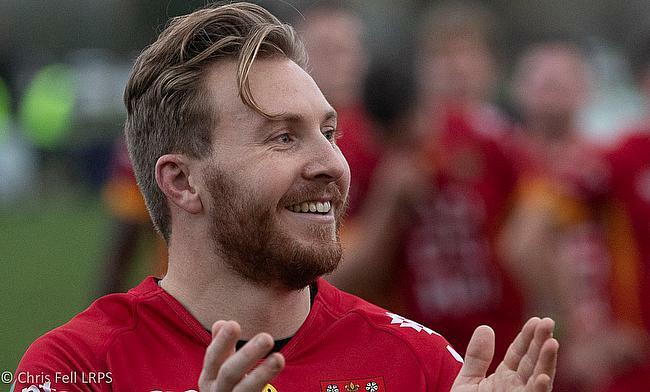 Since their promotion back into National One in 2016, the Blood and Sand have been through a number of changes with head coaches Rowland Winter and Ross Stewart both departing the club. During that time, Cambridge have managed to remain in the third tier and with Williams now at the helm, Ayrton believes the side are continuing to move in the right direction. “With changes at the top, Rowland, Ross and Richie all have different styles and different ways they manage players so the club has got to continue adapting to the way of the modern game,” Ayrton said. “Ross obviously came in as a new head coach. He inherited a squad from Rowland and a few boys went to Coventry with him or retired so Ross had a difficult task, but he did a great job to keep us in National One. So far this term, Cambridge have done well on the road having picked up three away wins and also, they have produced a couple of excellent display against sides above them in the table. 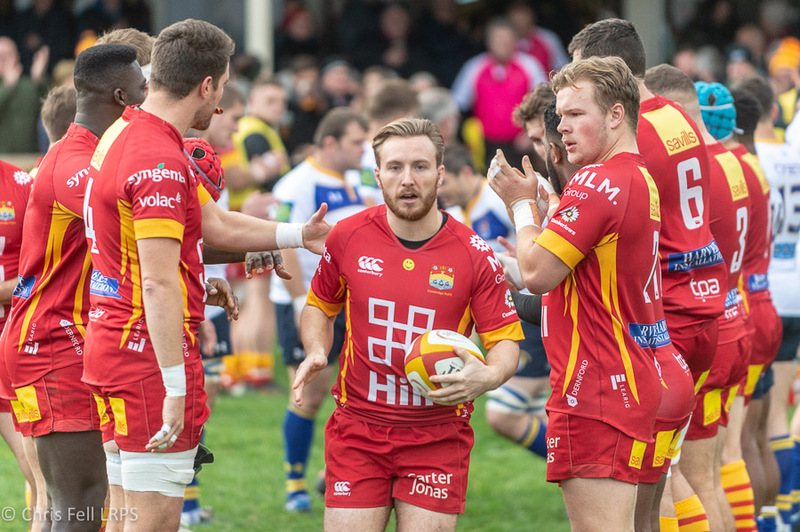 Victories over Ampthill and District and Rotherham Titans highlight this, but Ayrton is keen for Cambridge to start producing consistent performances if they are to progress up the table. “I have no idea why, but we have performed pretty well on the road!” he said. ” If I knew why, I would tell you! Hopefully that will continue this weekend against Darlington Mowden Park. “We want to be as high in the league as we can. We have let ourselves down at times because we have not been able to string 80 minutes together. You can’t perform for 70 minutes and come away with a win in this league. “We have got a few guys in the squad which are younger and few new boys in key positions so it is just a learning phase. Hopefully, we have now learnt from our first 12 games so we can kick on a little bit. Even though it is frustration, it is the frustration that we have not performed to how we know we can so it is exciting more so than anything.